Help us get the word out by sharing the event flyer! 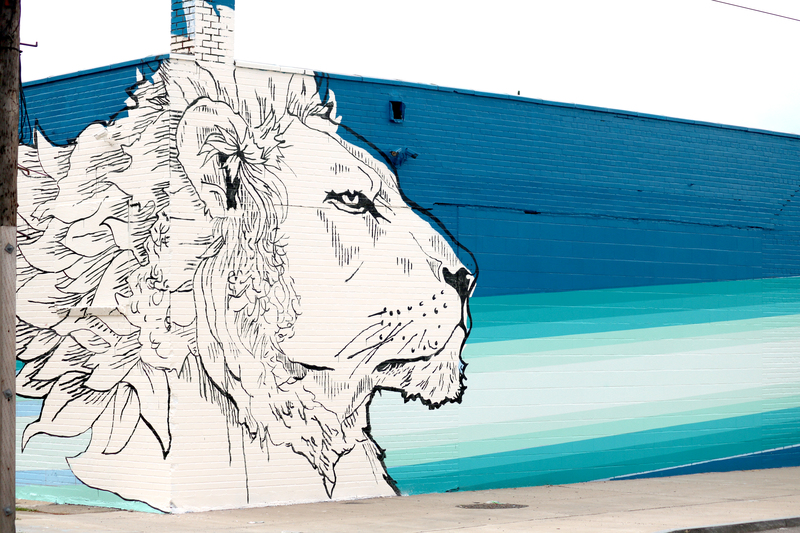 Join the Bailey Avenue Business Association, the University Heights Tool Library, artists Nicholas Conrad Miller and Christopher Kameck from Team Razor Wire and artist Edreys Wajed as two new murals are debuted on Bailey Avenue! 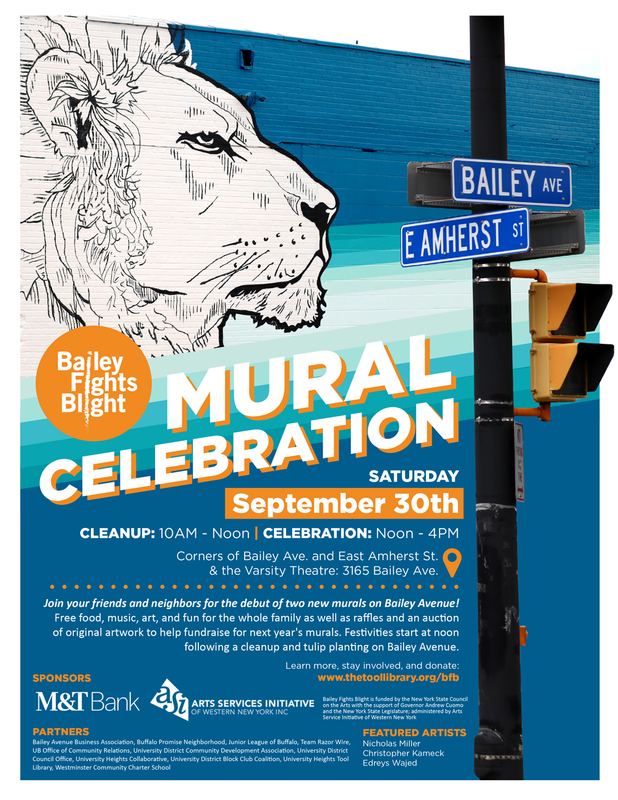 The event will take place at the corners of Bailey Avenue and East Amherst Street as well as at the Varsity Theatre (3165 Bailey Avenue). 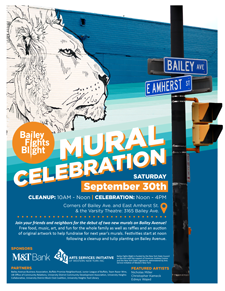 Music, food, fun, art, and an auction of original artwork to help fundraise for next year’s mural all start at noon following a community cleanup and tulip planting on Bailey Avenue from 10AM – Noon. RSVP to the Facebook event today!